It takes a week to a fortnight to hand weave a Ikkat saree. The natural hand spur silk fabric and pure vegetable colours add a unique luster to this traditional saree. 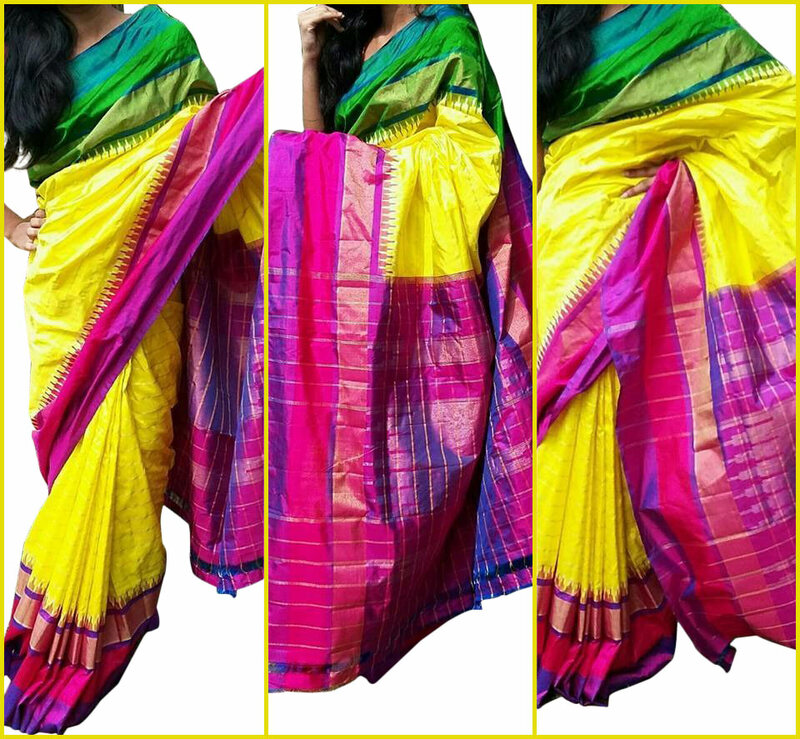 This Yellow colored saree with perfectly blending Ganga- Jamuna border and pallu is light weight and easy to wear.